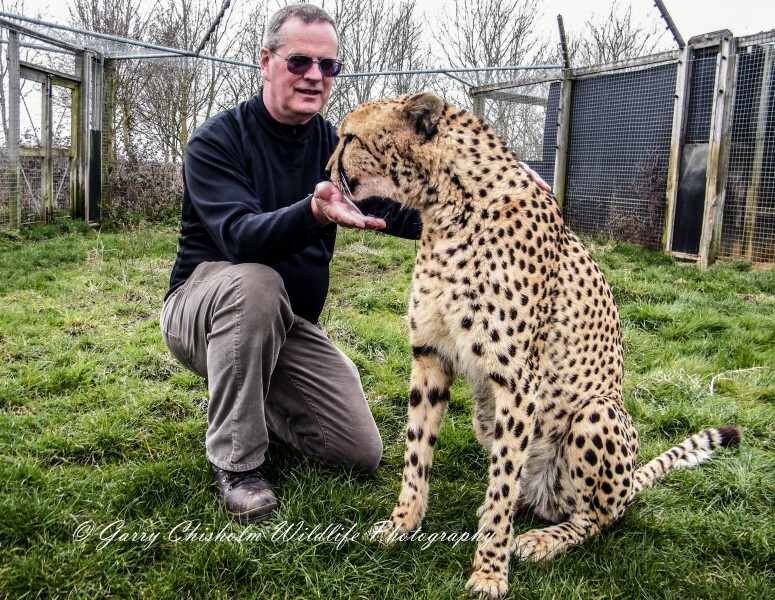 For animal mad Garry Chisholm, 57, combining photography with his love for wildlife was an obvious decision. Working as a Loss Prevention Officer by day in his home county of Northamptonshire, he uses every opportunity to indulge his passion. “I’ve always enjoyed photography, going back to my teenage years, but it wasn’t until 2013 that I started to take a more serious interest in it. 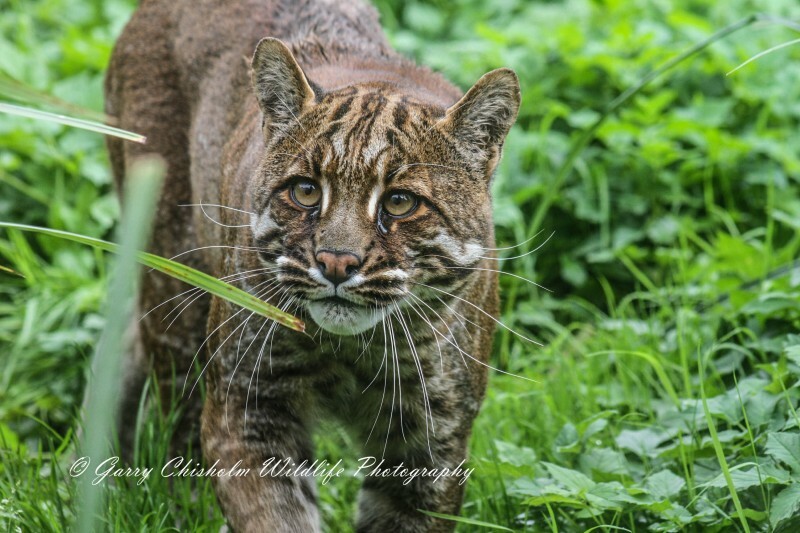 I booked myself onto a photography workshop at the Wildlife Heritage Foundation in Kent as a treat for my birthday, and the passion has grown ever since. I don’t have any official camera training but have picked up some great tips along the way when attending wildlife workshops around the country. The UK’s Best Wildlife Photographer? Garry’s become a very successful photographer in a short space of time. So much so, he was voted the UK’s best in two categories last year. Garry is a regular visitor to North Norfolk, especially enjoying the various zoos and conservation sites it has to offer. Thrigby Hall Wildlife Gardens is a conservation zoo and gardens situated in the grounds of Thrigby Hall, in Great Yarmouth. Surrounded by North Norfolk countryside, it is home to various endangered animals from Asia, Africa and the rest of the world. 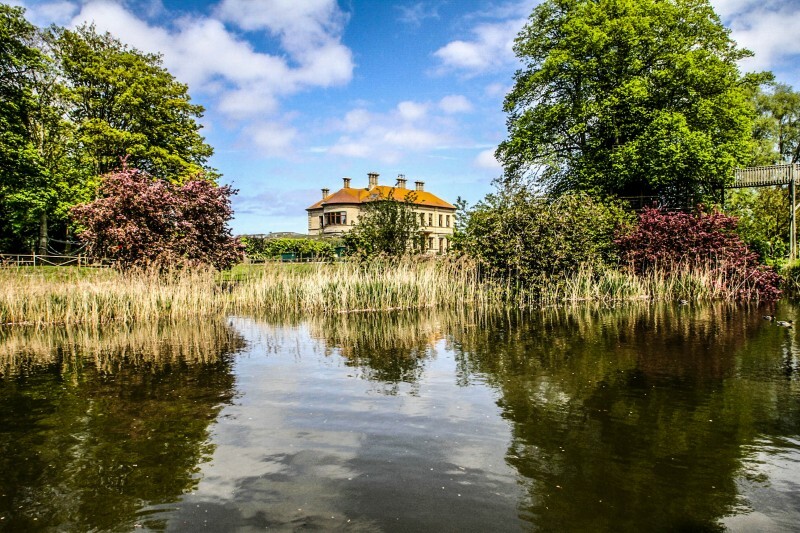 “I first found out about Thrigby Hall whilst researching the internet for places to visit,” Garry said. “I first visited in mid-October 2014 and have been back several times since. “It’s one of the smaller animal collections in the UK but still boasts a variety of species. 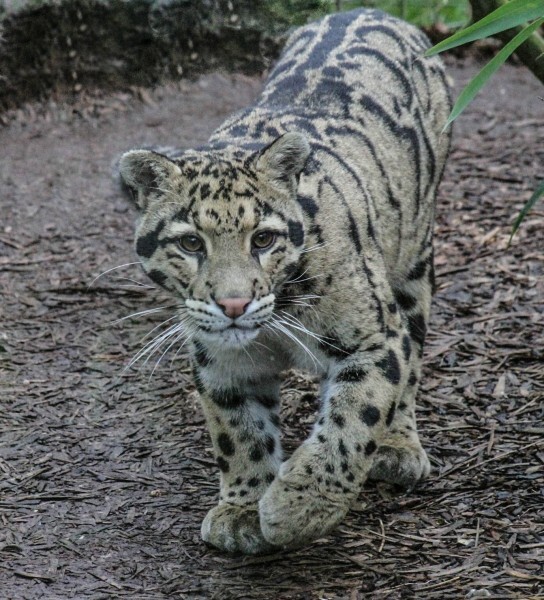 Their cats include Sumatran tigers, Amur leopards, clouded leopards, leopard cats, wildcats and the very rare Temminck’s gold cat. “In the aviary, they have exotic and rare bird species like Blyth’s hornbill, hill mynahs, Java sparrows and Bali starlings. Other birds they have include stunningly coloured mandarin ducks, cockatoos, eagle owls and peacocks. The Swamp House has crocodiles, alligators and a variety of snakes, while separate enclosures home otters, red pandas, meerkats and warty pigs. You can also see monkeys like gibbons and macaques climbing in the trees, feeding or grooming each other. 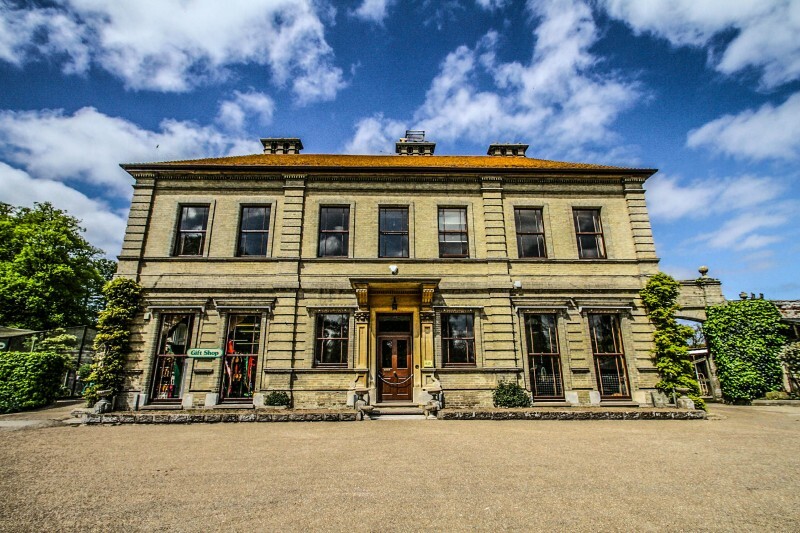 The Hall itself was built in 1736 by Joshua Smith Esquire and the grounds were then designed in the style of William III. The Willow Pattern garden is bound up in an ancient legend, where the Mandarin’s daughter fell in love and eloped with her father’s poor secretary. They were then transformed into doves. Renowned for its willow trees, it’s also home to a variety of the Hall’s birds, including endangered cranes. The Wildlife Gardens were opened in 1979 after Ken Sims returned from Malaysia where he’d held a variety of animal-focused jobs. He’d been inspired by David Attenborough and wanted to learn more about the wildlife of the region. On his return, he was involved with supplying rare animal species to zoos and then set up Thrigby Wildlife Gardens to help breeding efforts. Garry had some parting words of wisdom for budding photographers and anyone else interested in visiting Thrigby Hall Wildlife Gardens. “Like any gardens, I think the best time to see them is in the summer. The grounds can get extremely wet during the colder months, so it’s worth considering this when choosing what footwear to put on. Garry was very impressed with the organisation of the Hall and its facilities. “I’ve only had a few conversations with staff but they’ve always been beneficial. What is very clear is the staff absolutely love their work and the animals they care for. “They have a nice café, but it’s only open during the medium and high season. On one very cold day I had a sausage roll to die for! The gift shop is quite cosy but offers a good selection of souvenirs and also has refreshments for when the main café is closed. The Hall is open all year round and offers free parking. Prices range from £13.90 for adults to £9.90 for children over 4yrs, Party of 6 people ? 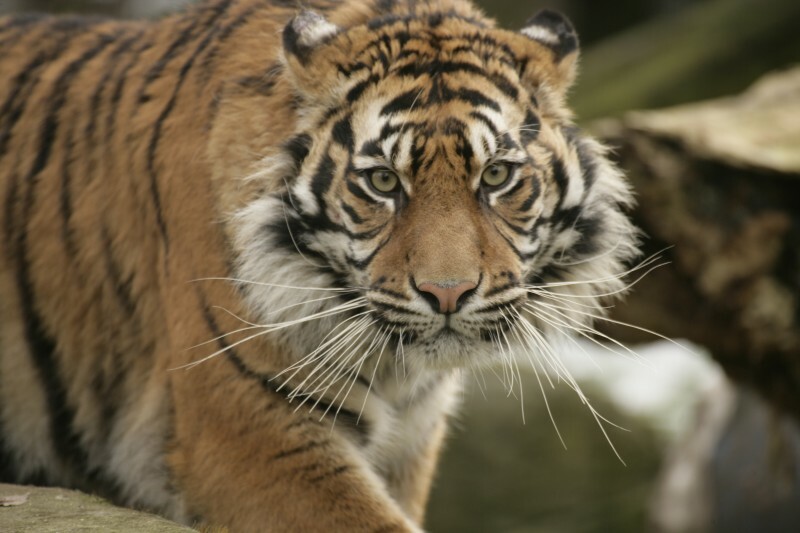 Visit their website to obtain discount voucher for £1 per admission discount. 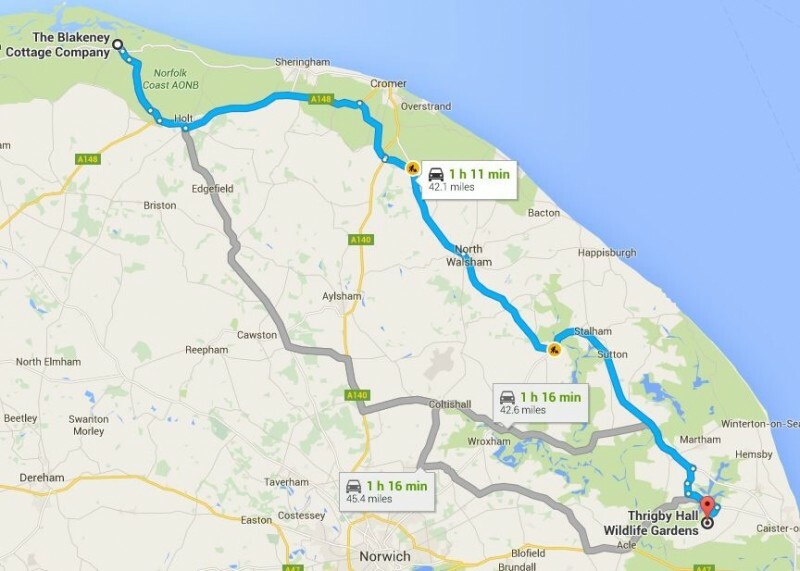 Thrigby Hall Wildlife Gardens are located in Great Yarmouth, 1 hour and 11 minutes from the Blakeney Cottage Company HQ in Blakeney.